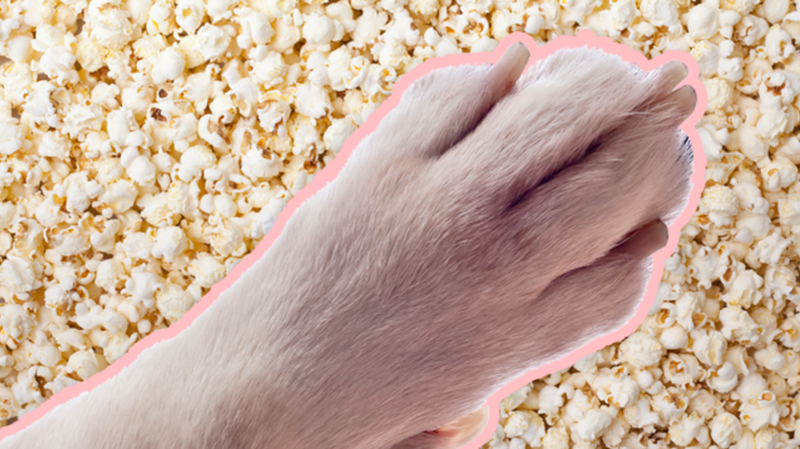 Why Do Your Dog's Feet Smell Like Popcorn? mental_floss editor-in-chief Jason English has long suggested that I look into the science of why his dog Bailey's feet smell like popcorn. I thought the odor was a quirk of Bailey's. But then I did some research. Many dogs' feet do smell like popcorn! Mind blown. So why does it happen? The skin of most animals is home to a lot of microbes. As Bill Bryson puts it in A Short History of Nearly Everything, "If you are in good health and averagely diligent about hygiene, you will have a herd of about one trillion bacteria grazing on your fleshy plains—about a hundred thousand of them on every square centimeter of skin." Dog feet are a great place for bacteria and yeast to take up residence because there's a lot of moisture and little to no air circulation in the folds and pockets of skin between the toes and foot pads. Bacteria flock there and reproduce with exuberance. All these microorganisms emit their own distinct odors (they're what give us BO), and the popcorn/corn chip smell on some dogs' feet could be due to yeast or Proteus bacteria. Both are known for their sweet, corn tortilla–like smell. Or it could be Pseudomonas bacteria, which smell a little fruitier—but pretty close to popcorn to most noses. As I said, it's perfectly normal for there to be a lot of bacteria on your pet (and you). There are worse things these bacteria could be doing besides making your dog smell like delicious snacks. Frito Feet is no cause for alarm unless the odor is really overwhelming. That could be a sign of an infection and should be checked out by your veterinarian.